Mrs. Carolyn Hulshof, 76, resident of Lewisburg, died Tuesday, July 3, 2018 at Maury Regional Medical Center in Columbia. Born September 18, 1941, in Limestone County, Alabama, she was the daughter of the late Rufus Willoughby and the late Mary Anna Hawkins Willoughby. Carolyn enjoyed traveling, reading, and attending church. She was a member of the Church of Christ; attending Church Street Church of Christ and Liberty Valley Church of Christ. 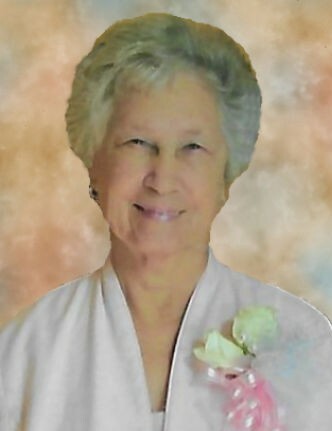 She is survived by her husband, Bill Hulshof of Lewisburg; son, Tim (Donna) Warren of the Yell Community; daughters, Sherry (Todd) Cashion, Kay (Johnny) Perryman, Janet (James) Abby, and Deborah Lynch all of Lewisburg; sisters, Charlotte Foster and Ruth Isley; and several grandchildren and great-grandchildren. A Funeral Service will be conducted Saturday, July 7, 2018 at 2:00 P.M. at Bills-McGaugh & Hamilton Funeral Home with Harold Foster officiating. The family will visit with friends Friday, July 6, 2018 from 4:00 until 8:00 P.M. and Saturday, July 7, 2018 from 12:00 until service time at Bills-McGaugh & Hamilton. Active pallbearers will be Trey Cashion, Brent Perryman, Robert McCormick, David Isley, Seth Isley, and Jeff Isley. Honorary pallbearers will be Johnny Perryman, Donnie Hulshof, Jerry Hulshof, and Donnie Payne.